Designed specifically with innovation in mind this centre, just to the north east of Luton is the creation of Hopkins Architects. As you would expect this is an attractively landscaped and contemporary site that comprises a range of small units that can be let on a two week agreement. This 'easy in-easy out' agreement is in place to encourage the growth of innovation based small and start up businesses in Luton. This unique site is part of the Butterfield Technology Park, on the A505 with good links for both the M1 and A1 and with all the convenience of local services nearby. This high quality business centre just 30 miles from London offers a full range of facilities and services on flexible terms. Set within a thriving business park, this two story property has excellent links to London via the M1, Luton Airport and public transport, as well as meeting rooms, kitchens and the option of reception and support staff. With the additional benefit of CCTV, 24hr access and car parking, these offices offer the full package. This modern office facility offers a range of office suites on flexible terms. These are brand new, purpose-built spaces that are ideal for start-up businesses and are available immediately. Also offering car parking and comfortable reception area. 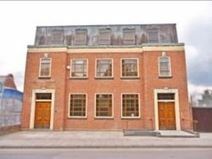 This historic building provides a cost-effective solution to your search for serviced office space. A range of support services is provided, and the centre is conveniently close to Luton airport. The town centre is just a 10-minute walk away, and provides all the amenities you might require. 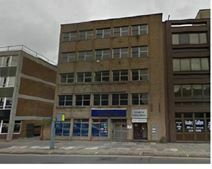 This high quality office facility is located just moments form the centre of Luton, close to the railway station which offers regular, direct services into London. Luton airport is also close by, and can be reached by a shuttle service. This address is easy to access and provides fully furnished offices for up to 6 persons on flexible terms. This is a professional working environment, well equipped and ready for your business. 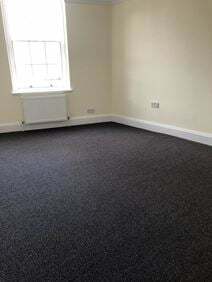 Within a 10-minute walk to Luton train station these offices are furnished with a desk and chairs and have air conditioning. Located on a main road with large windows to the front of the building allowing you to advertise your company. With 24-hour access, this space is extremely flexible and offers a fantastic location in the centre of Luton. Its close proximity to Luton Train Station means that central London is easily accessible, and the M1 Motorway is also within easy reach. There are various office sizes available, and the space is ideal for start ups. Away from the office, there is no shortage of shops, restaurants, cafes and bars in the local area. Situated in the centre of Luton, this centre is composed of eleven offices and offers a hugely appealing all inclusive rate which encompasses rent, rates, bills, cleaning internet and insurance. The space also has kitchen facilities, carpets and central heating. There are a range of units available. Luton's bustling centre is literally a matter of feet away, and Luton's train station is 5 minutes away. 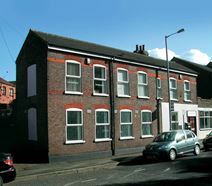 Positioned next to Luton Parkway Station, this centre is within easy walking distance of the town centre. Combining modern facilities with traditional prestige, this centre offers a range of suites to meet your needs. This space is located near to Luton Parkway Railway Station, and just minutes away from Luton Airport, for international travel. There is good road access, with the A1 and M1 nearby, as well as bus services in the area. Accessible 24-hours a day, the space offers parking spaces, a reception area and administrative support, amongst other facilities. Luton has a range of cafes, bars, shops and restaurants. This is a stylish and well-equipped fully refurbished serviced office centre located in the grounds of Luton Airport. This is a period building offering 6000 sq ft of space on flexible terms. The many facilities at the airport are just a short walk away. This centre is located just a five minute walk away from Luton town centre, this space is well located for access to local amenities. Luton offers a range of cafes, bars and restaurants, as well as shopping outlets. Transport links are good with Luton Railway Station offering regular, direct services to London and London Luton Airport is around 10-minutes away. The space is accessible 24-hours a day.